The Resistance of the transformer is defined as the internal resistance of both primary and secondary windings. In an actual transformer, the primary and the secondary windings have some resistance represented by R1 and R2 and the reactances by X1 and X2. Let K be the transformation ratio. To make the calculations easy the resistances and reactances can be transferred to either side, that means either all the primary terms are referred to the secondary side, or all the secondary terms are referred to the primary side. 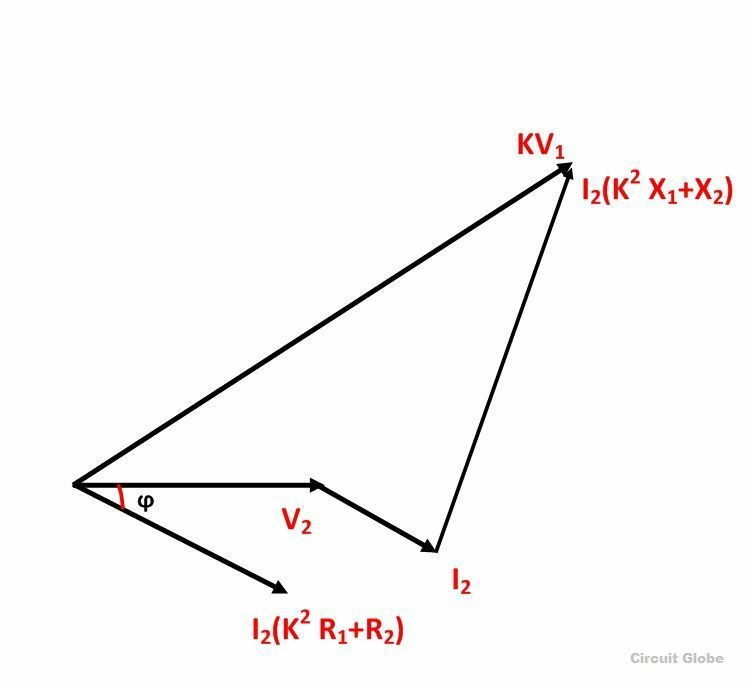 Since the transformation ratio is K, primary resistive and reactive drop as referred to secondary side will be K times, i.e., K I1R1 and K I1X1 respectively. If I1 is substituted equal to KI2 then we have primary resistive, and reactive drop referred to secondary side equal to K2I2R1 and K2I2X1 respectively. 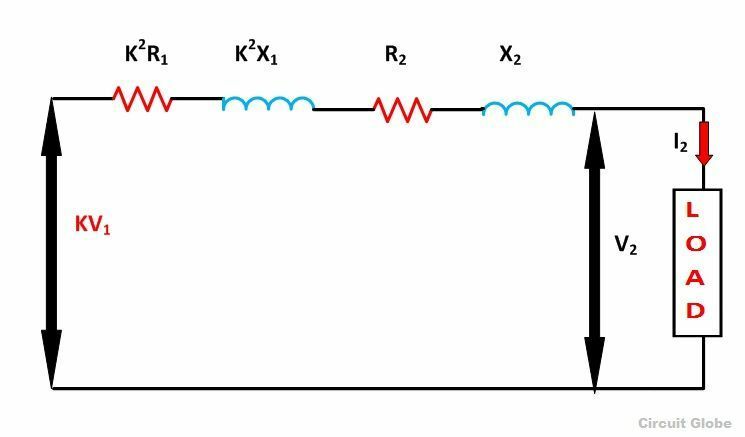 represent the equivalent resistance and reactance of the transformer referred to the secondary side. Where V2 is the secondary terminal voltage and I2 is secondary current lagging behind the terminal voltage V2 by an angle ϕ.